While the overall design of the iPhone 7 may be similar to last year's model, several subtle changes make a world of difference here. Water resistance, new color options, a 3D Touch home button, and several camera improvements round out the headlining features, but there are plenty more. So don't let the familiar look fool you—there's lots to learn about the new iPhone 7. As we expected, the iPhone 7 and the iPhone 7 Plus do not have traditional 3.5 mm headphone jacks, which will be a big downer for some. Fortunately, though, Apple has included a pair of Lightning-compatible EarPods with their new phones, as well as an adapter for plugging your old headphones into the Lightning port. To smooth things over a bit further, Apple unveiled new wireless earbuds called AirPods, though these aren't included with the new iPhones, and they won't be available until late October. A set of AirPods will run you $159, but new technology they're using ensures that the audio quality will be much higher than traditional Bluetooth headphones, and lots of other goodies make them an interesting addition. The removal of the headphone jack is a controversial move, for sure, but one that Apple felt it needed to make room for more speakers and improve water resistance. You can read more about the whole situation at the link below. 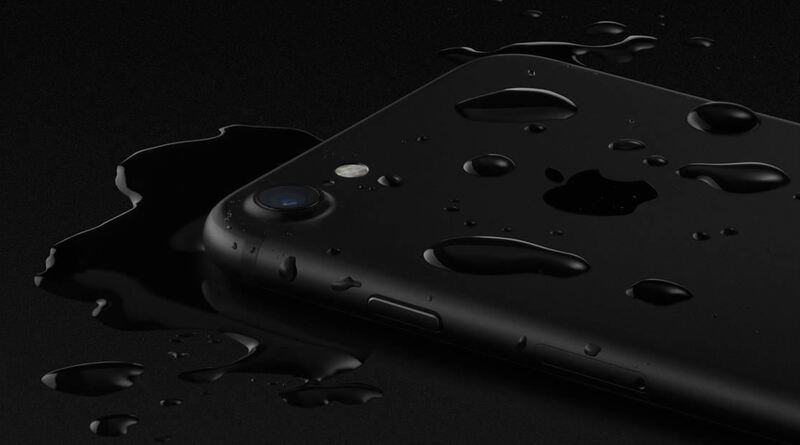 In a move that puts them on a level playing field with Samsung's latest smartphones, Apple has finally made the iPhone water-resistant. It's a basic IP67 rating, so you won't be able to take your iPhone 7 scuba diving, but it can withstand occasional splashes, and even full submersion for up to 30 minutes at a depth of 1 meter. This was made possible, in part, by the removal of the headphone jack. So while it may sting a little having to buy all-new earbuds, at least we're gaining functionality overall. Another big change that enabled water resistance in the iPhone 7 was the removal of a traditional, mechanical home button. This year's models will be using a 3D Touch-enabled home button instead, so no more click when you wake your phone. 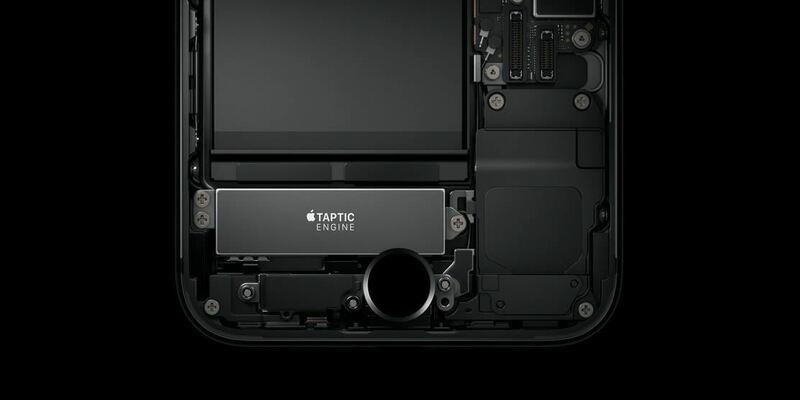 The new home button still offers the same core functionality of its old, mechanical counterpart, but it made room for an improved Taptic Engine for more fine-tuned vibration feedback, and it even provides a new API for app developers to tap into. 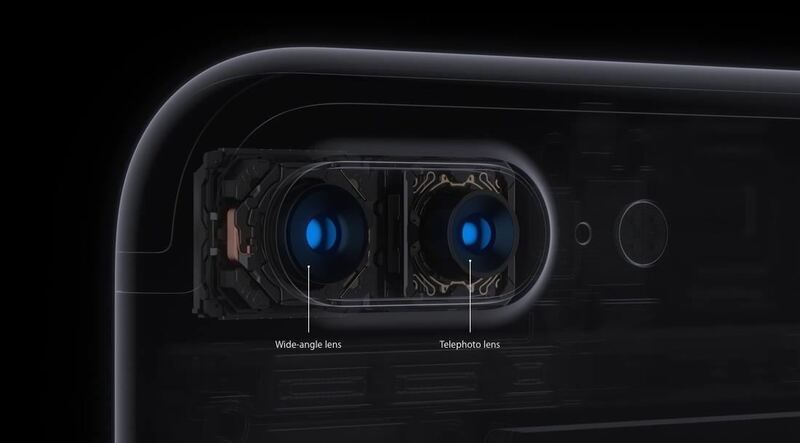 One of the biggest hardware changes in Apple's smartphone lineup this year is a dual-lens camera system, which is only available in the iPhone 7 Plus. One lens is a standard, wide-angle 12-megapixel shooter that you would use in everyday situations, but the second camera packs a telephoto lens. With this new setup, you'll get 2X optical zoom by simply switching over to the telephoto lens at the press of a button. 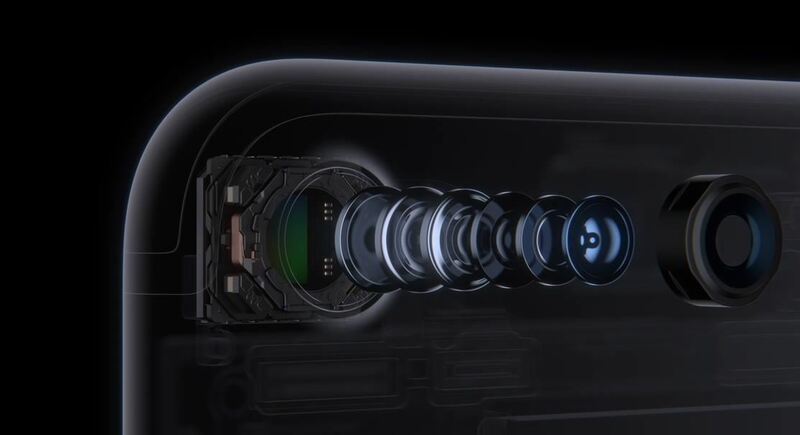 Or, you can use digital zoom to get up to 10 times closer to your subject, all while maintaining four times the clarity of past iPhone cameras. As it stands, the two cameras operate independently of one another. But, with a software update coming "later this year," Apple promises to add a new feature that will juxtapose both sensors to create a 3D depth map for post-processing. This will allow you to add bokeh by adjusting the focus point after you've taken a picture, or adjust the photo's depth of field, similar to the HTC One's Duo Camera, or a software feature in the Google Camera app for Android. Last year, the iPhone 6s Plus sported optical image stabilization for its rear camera sensor, but the smaller iPhone 6s lacked this awesome feature. Finally, all models will support OIS, which means that your still photos will have less blur, and videos will be far less shaky. 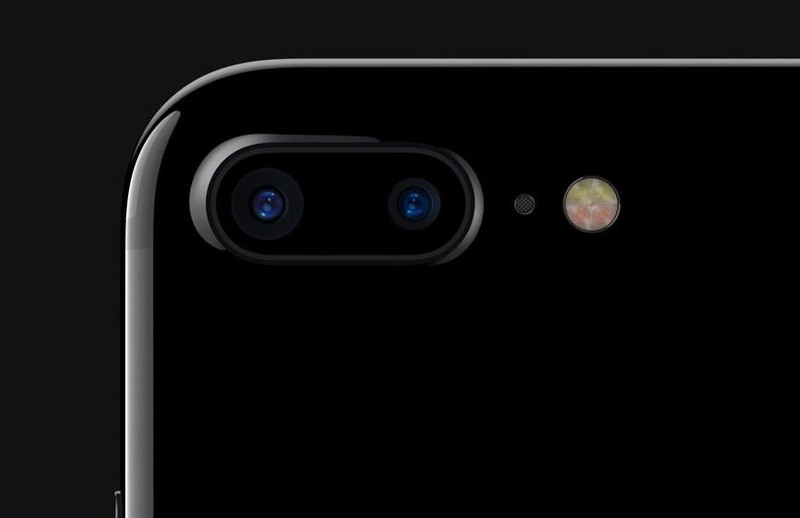 The iPhone 7 upgrade its "True Tone Flash" with four flash LEDs nestled together next to the rear camera sensor. It uses a combination of warm and cool tones to produce a balanced light spectrum when you're taking pictures at night. As a result, your nightlife photos should not only be brighter, but they should also have more realistic colors. Perhaps to soften the blow of losing our beloved headphone jack, Apple introduced stereo speakers in the new iPhone 7 models. The earpiece speaker will now crank out tunes in conjunction with the bottom-firing speaker to finally offer true stereo sound. From a practical standpoint, the most useful change in Apple's new smartphones might very well be their bigger storage capacities. Instead of starting at 16 GB and working up to 128 GB, the iPhone 7 and 7 Plus will both range from 32 to 256 gigabytes this year. Apple realized that 16 GB just wasn't cutting it anymore, so the new storage options are 32 GB, 128 GB, and 256 GB. Some color options will only be available in 128 or 256 GB configurations, but we'll get into that next. 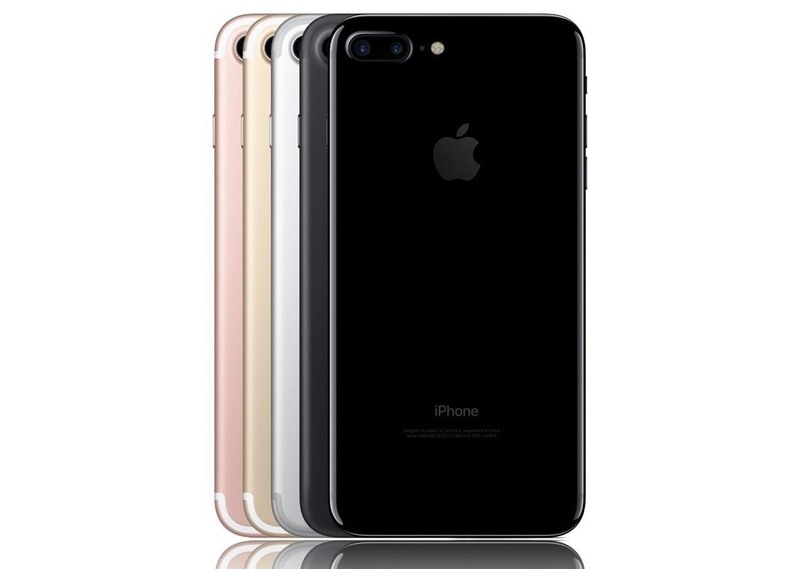 Both models of the iPhone 7 will be available in two new colors: "Black," and "Jet Black." The Black model replaces the Space Gray color option from years past, and brings a stealthy look to the iPhone lineup. But the Jet Black model is more than just a color—it's an entire, glossy finish. The whole phone will be shiny if you go the Jet Black route, even the antenna bands and buttons. Whether it's an iPhone 7 or an iPhone 7 Plus, if you want to try the new Jet Black color, you'll have to splurge on extra storage. The shiny new look is only available in 128 and 256 GB configurations, so it will cost you a bit extra. Finally, the iPhone's software has received a makeover as well. Both new devices will ship with iOS 10 pre-installed, and there are tons of new features to explore here. Headliners include the ability to remove stock apps (finally), better widget support, and improvements to iMessage, among a slew of additional upgrades. The official version of iOS 10 will begin rolling out to older devices today, as well, so you can get to now the new operating system with our series of guides below.